Seismo-Live is an interactive online learning platform for seismology. It utilizes Jupyter Notebooks. Most links on the front page lead to tools and projects that are used on Seismo-Live. The glowing green button will launch a light-weight remote virtual machine with ready to use interactive notebooks. Click on it to get started. 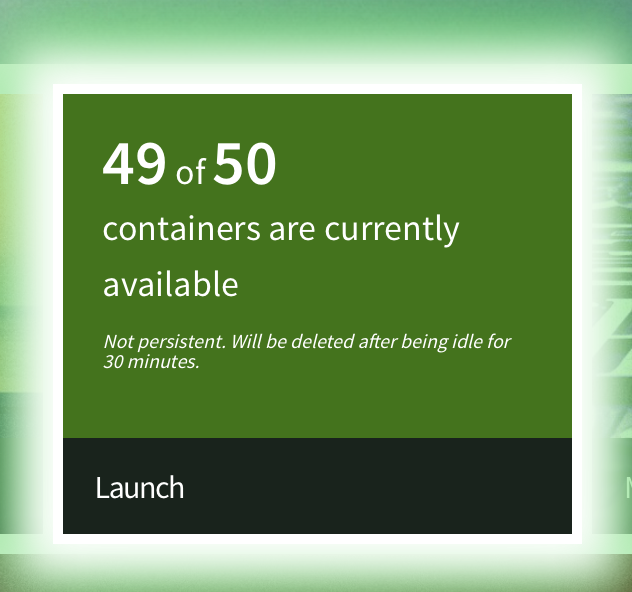 Once you clicked the green button, an overview of all available notebooks will be shown in a new tab. Choose any. 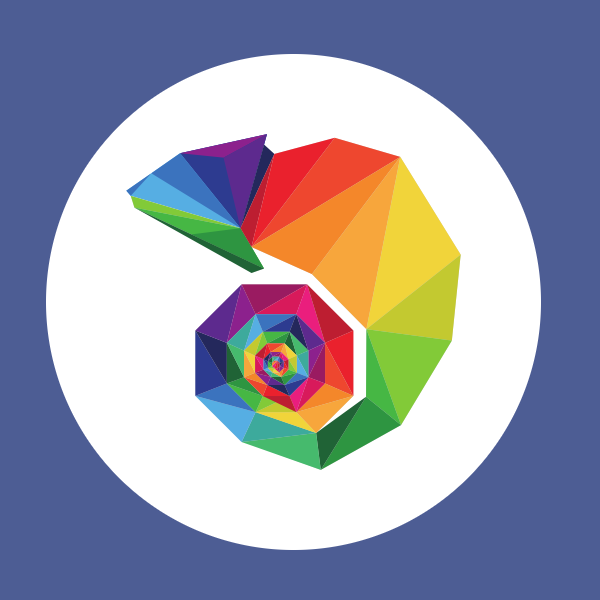 If you have never seen this before, the Python Courses ones also contains a quick introduction on how to use the notebooks. There is also some official documentation on how to use the notebooks and lots of tutorials can be found in the internet. Measurement of Rayleigh wave ellipticity from polarisation of ambient noise and inversion for the S-wave velocity profile. Originally, MSNoise was a “Python Package for Monitoring Seismic Velocity Changes using Ambient Seismic Noise”. With the release of MSNoise 1.4, and because of the Plugin Support, we could call MSNoise: “Measuring with Seismic Noise”. 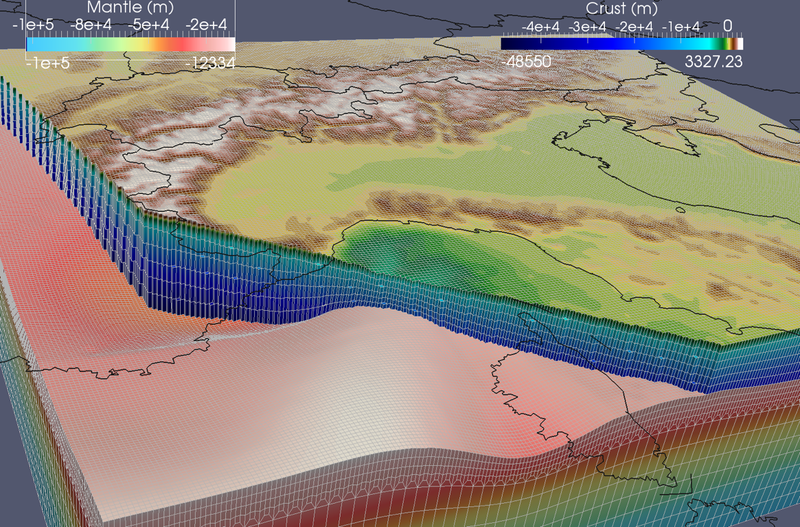 The standard MSNoise workflow is designed to go from seismic data archives to dv/v curves. The monitoring is achieved by computing the cross-correlation of continuous seismic records for each pair of a network and by studying the changes in the crosscorrelation function relative to a reference. The goal of the “suite” is to provide researchers with an efficient processing tool, while keeping the need for coding to a minimum and avoiding being a black box. Moreover, as long as the in- and outputs of each step are respected, they can easily be replaced with one’s own codes ! (See Workflow). Plugins can be added and extend the standard workflow from any steps, e.g. using MSNoise as a cross-correlation toolbox until the stack step, and then branching to the workflow provided by one’s plugin. 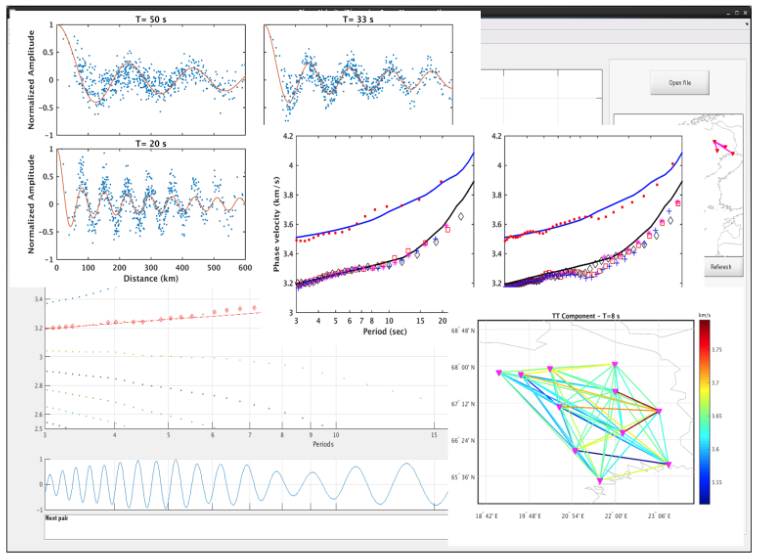 GSpecDisp is an interactive package to measure phase-velocity dispersion of surface waves extracted by noise correlations. The input data are time-domain cross-correlations in SAC format. GspecDisp can be run on any operation system with Matlab and also its Mapping toolbox. 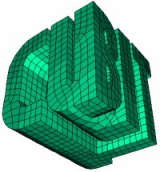 It is written based on the new Matlab Graphics which are introduced in Release 2014b. 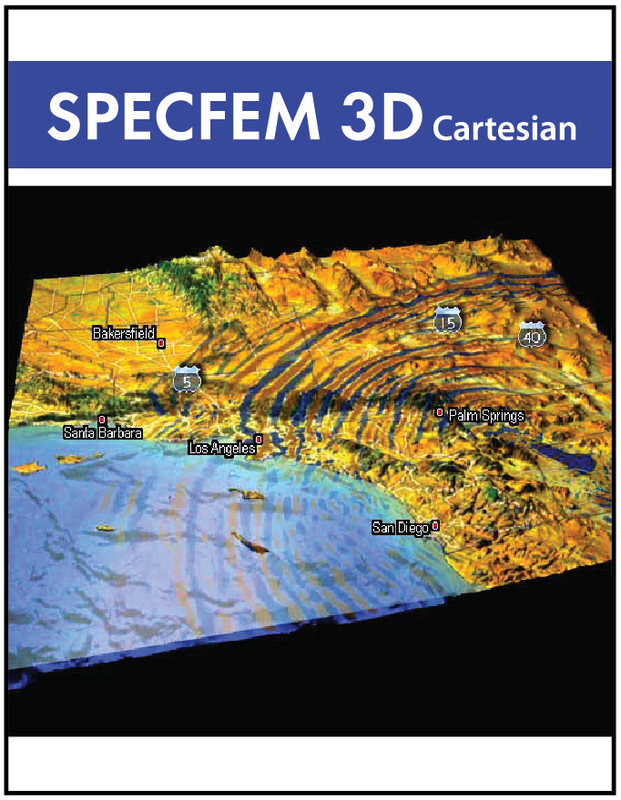 SPECFEM3D_Cartesian version 2.0 uses the continuous Galerkin spectral-element method, which can be seen as a particular case of the discontinuous Galerkin technique with optimized efficiency owing to its tensorized basis functions, to simulate forward and adjoint coupled acoustic-(an)elastic seismic wave propagation on arbitrary unstructured hexahedral meshes. 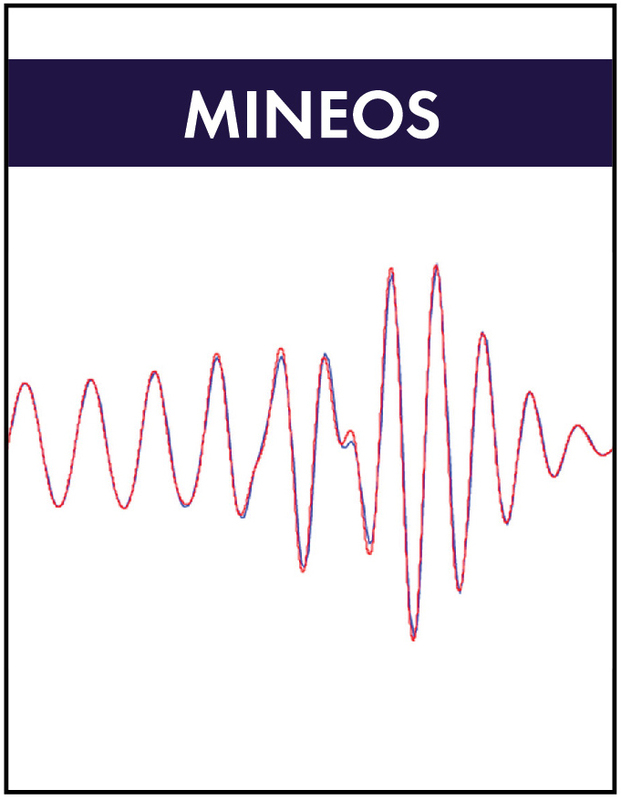 Mineos computes synthetic seismograms in a spherically symmetric non-rotating Earth by summing normal modes. Attenuation, gravity and transversal anisotropy effects may be optionally taken into account. The package computes mode eigenfrequencies and eigenfunctions, Green's functions and synthetic seismograms for sources with a moment tensor defined in time as a step-function. The IRIS Synthetics Engine (Syngine) is a webservice that quickly returns synthetic seismograms custom requested by the user. The IRIS DMC stores precalculated TB scale databases of Green’s Functions for several different 1D reference models. The Green’s Functions were generated by Tarje Nissen-Meyer & colleagues using AxiSEM (Nissen-Meyer et al., 2014), an axi-symmetric spectral element method for 3D (an-)elastic, anisotropic and acoustic wave propagation in spherical domains. 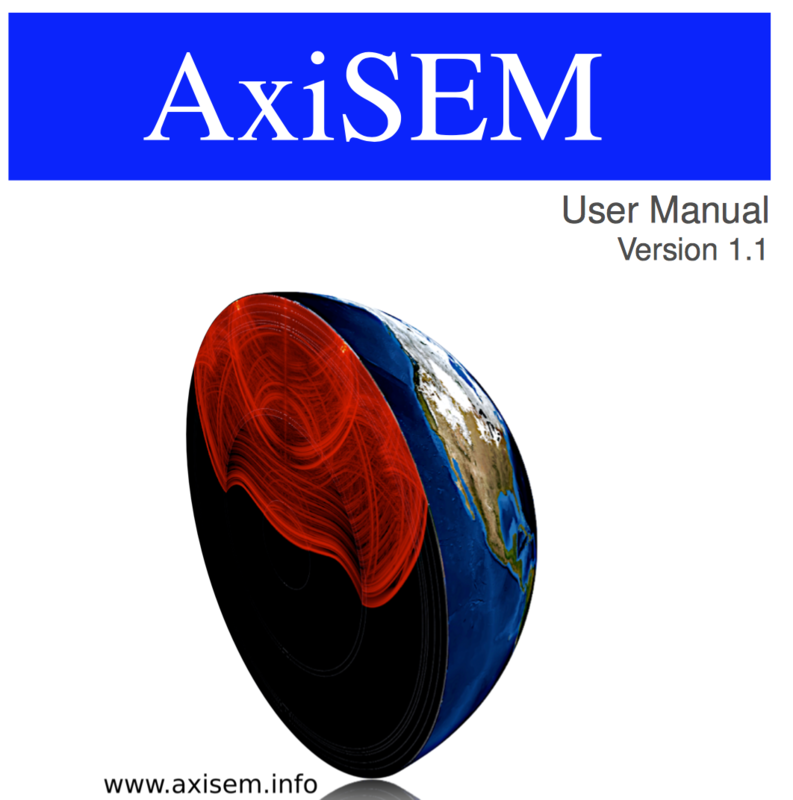 It requires axisymmetric background models and runs within a 2D computational domain, thereby reaching all desired highest observable frequencies (up to 2Hz) in global seismology. The requested synthetic seismograms are calculated using Instaseis (van Driel et al., 2015), a python library built for storing wavefield databases with a fast extraction algorithm. 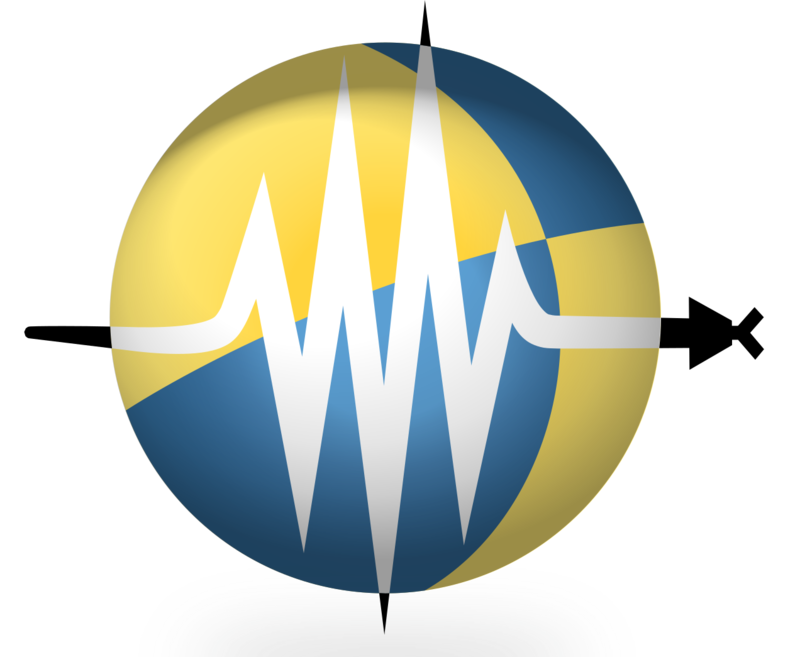 By using Instaseis and obspy, Syngine provides users with fully customizable synthetic seismograms for any source-receiver combination with a variety of source options including point source or user supplied moment tensors (or GCMT). The Adaptable Seismic Data Format (ASDF) is a modern file format intended for researchers and analysts. It combines the capability to create comprehensive data sets including all necessary meta information with high-performance parallel I/O for the most demanding use cases. Implementations for C/Fortran as well as Python are available.